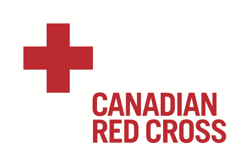 The application period is now CLOSED for the Canadian Red Cross (CRC) and the Regional Municipality of Wood Buffalo (RMWB) financial assistance to small businesses affected by the 2016 Alberta Wildfires. All small businesses that apply for and receive assistance in the second phase of the Red Cross program will automatically be assessed for the third phase of additional financial assistance up to $11,000. No additional information needs to be submitted by applicants. Phase 3 reviews are being performed and all applicants will be notified regarding the status of their application in the upcoming weeks. The application period for the Support to Small Business Program is now CLOSED. The Small Business Workforce Support Program is now CLOSED.